Pharmacies, chemists, drugstores - they all mean the same thing, and the Balinese call them apoteks. Most apoteks are located reasonably close to hospitals, and you will find many in tourist centres. Kimia Farma is a chain, stocking a variety of products to ease common ailments: sunscreens, liniments, aspirin and prescription medicines. Always check the expiry date on anything you buy, and be aware that some street-side places display their products in a glass case in direct sunlight. 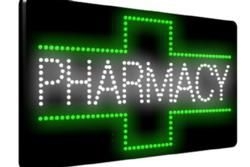 Most pharmaceuticals must be stored at a cool temperature, so the heat can make a big difference in product effectiveness. If you get a case of Bali Belly, go to Bali Deli on Jl. Kunti in Seminyak for a bottle of Bali Belly Buster. Then, an hour afterwards, drink a couple of cans of Pocari Sweat, the electrolyte drink, to prevent dehydration. Beware of touts selling "patented enhancers" in the streets. They are usually fake. Hannah Total Health Care Pharmacy – Gatsu. Provides blood tests such glucose blood test, cholesterol blood test, triglyceride blood test, uric acid blood test and haemoglobin blood test. Jl. Gatot Subroto Barat No. 18A-B, Denpasar, Bali. Hannah Total Health Care – Seminyak Pharmacy. Jl. Raya Kerobokan No. 24, Seminyak, Kuta, Bali. Jl. Kartika Plaza No. 67, Kuta, Bali. Good service and stock. Pleasant staff. Unit physician practitioners of surgery, obstetrics, internal diseases and paediatrics, with home visits and on-call doctors, an ambulance service and a 24-hour drug store. Unit physician practitioners of surgery, obstetrics, internal diseases and pediatrics, with doctors on call, home visits, an ambulance service and a 24-hour drug store. Br. Nyuh Kuning, Ubud, Gianyar, Bali. International standard health care services, with doctors on call, dentists, specialist treatments, medical check-ups and 24-hour pharmacy. Jl. Merdeka No.8, 2 – Renon, Denpasar, Bali. Local and imported prescription drugs are stocked at the BIMC’s pharmacy. You will pay Australian prices or more. Mobile health care unit with bilingual practitioners, providing health care to tourists, expatriates and locals. 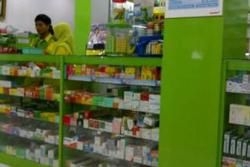 Midwife, GP, hypnotherapy, medication, travel health advice and advice on equivalent medicines in Indonesia. 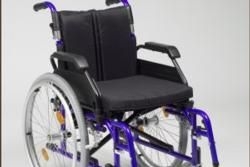 Range of equipment for hire including wheelchairs, oxygen, portable ramps, walkers and shower chairs. Can also organise hourly, daily and weekly home care with licensed nurses. Jl. Danau Tamblingan 31, Sanur, Bali. Ketut Sama and Made Nano have set up Helping Hands Bali, a holiday care service based in Bali's art and cultural capital, Ubud. These two enterprising Balinese family men have established a business designed to make Bali travel easier for the disabled and the elderly, while leaving their carers free to enjoy some well-earned respite on the island. Based in Ubud, for people with mental and physical disabilities. Access to 24-hour medical assistance; care-givers available 24/7 to help with activities and trips. Suitable accommodation can also be organised. Cost of services starts from RP150,000 for one-on-one care for a minimum of three hours, with negotiable day rates for 24-hour in-hotel care and outings. An airport transfer to Ubud, with a driver and care-giver, costs RP320,000 and includes getting the guest settled in the hotel and oriented.